Learn English plus Horse Riding in London with the Nacel English School London! 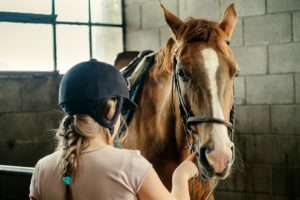 We help you design a memorable London experience : you study English is our school on weekday mornings and visit the local equestrian center on early afternoons. 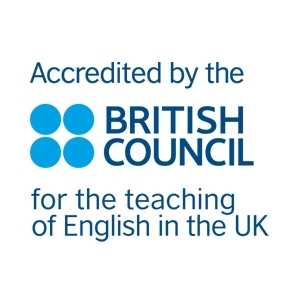 You attend 15 hours English classes every week from 9.30am to 12.45pm, and then walk or take the bus to reach The London Equestrian Centre, located only 1,3 miles / 2,1km away from school. This is a 25 minutes nice walk on the so called Lovers Walk, alongside the Golf club. 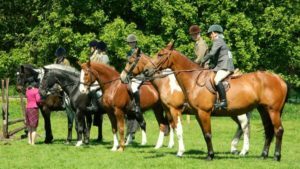 The equestrian centre is located at the junction of Frith Lane and Lullington Garth. The nearest tube station is Mill Hill East (10 minutes walk) on the Northern Line or on the 221 bus route. The London Equestrian Centre offers 34 acres in the North of London to practise your favorite sport! You also enjoy the onsite cafe to rest and relax after your lesson. Lessons are available from Tuesday to Friday up to 9pm and on Saturdays & Sundays, up to 6pm. We suggest you to attend your riding lessons between 2 and 3.30pm to benefit from the cheapest prices. The price depends on the length of the lesson and on the time of the day. An alternative equestrian centre is located at the same distance, the Frith Manor Equestrian Centre. This is a 30 acres center, with all necessary facilities. The centre is open from Tuesday to Sunday for lessons from 10am – 4pm (on Tuesdays and Thursdays until 9pm). Please consult us for quotes and lesson bookings. Book early to secure lessons at the most convenient times. English plus Horse Riding in London: a combination of English study and English experience for an enriching and enjoyable stay in England!